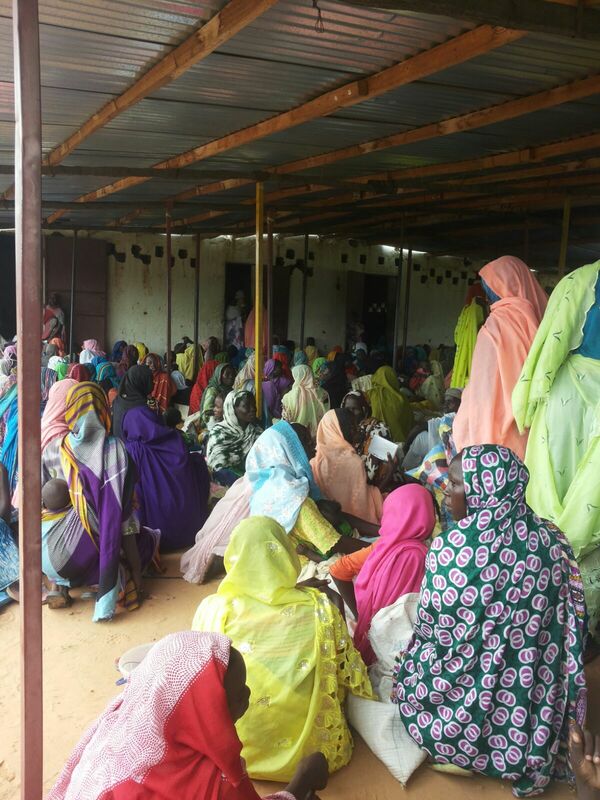 These pictures show an assembly of many people in Djabal Refugee Camp. The refugee camps for Darfuris in Chad have had their World Food Program rations cut far below the minimum adequate daily intake of 2100 kilocalories per person which the WFP ordinarily tries to meet. 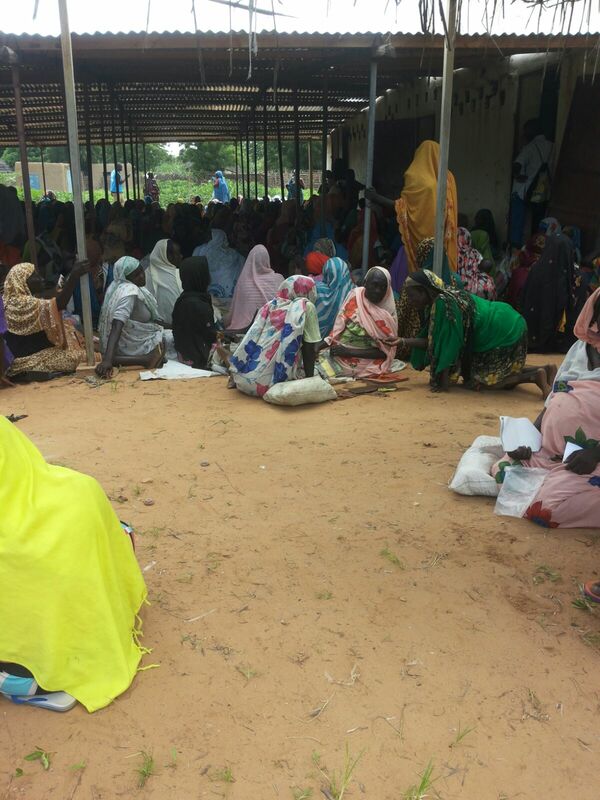 On July 1, 2014, the agency announced that, due to lack of funding, daily allotments to refugees would be cut 60% to 850 kilocalories per day ( https://www.dabangasudan.org/en/all-news/article/darfur-refugees-in-eastern-chad-close-to-starving ). And these cuts have continued as of mid-2015 ( http://documents.wfp.org/stellent/groups/public/documents/ep/wfp270015.pdf ). Women sit along the fringes of a meeting in Djabal, Chad. Most of Chad’s population of about 11 million live below the poverty line and have long suffered food insecurity due to climate shocks, irregular rainfall, drought, insecurity and pests to such an extent that the World Food Program has been there since 1968. Such harsh agricultural conditions occur throughout the Sahel region (between the Sahara Desert to the north and the more fertile land to the south) of which Chad is a part. Over three million Chadians need humanitarian assistance, and 790,000 need emergency food assistance ( http://www.wfp.org/countries/chad ). 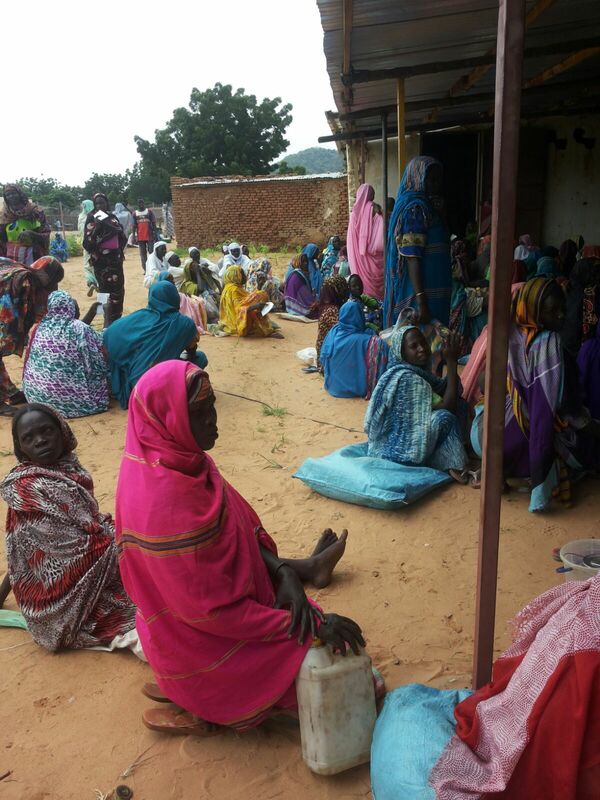 This country is now home to 750,000 refugees displaced by conflicts in Sudan, Nigeria and the Central African Republic. 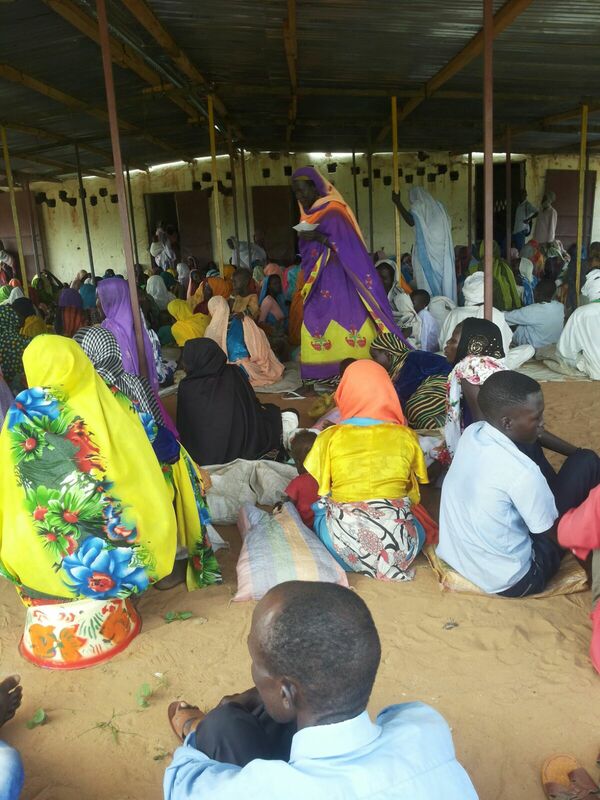 The government has allowed some refugees to farm small plots in the southern part of the country, but this is not possible in the semi-desert land of the eastern part of the country ( https://www.dabangasudan.org/en/all-news/article/darfur-refugees-in-eastern-chad-close-to-starving ).